Spring has finally sprung! While many people wait until a new year arrives to make resolutions and set fresh goals, spring is an ideal time to start anew. In this issue of Teen Breathe, we show you how to make spring your season. While you’re in the mood to hit the refresh button, why not focus on personal changes you can make for a healthier, happier, more positive you? Start by giving yourself a good talking to and turn your critical inner voice into a complimentary narrative. Soar like an eagle with the step-by-step guide for our standing yoga pose, lift a sad friend’s spirits with our Letter of Care, and be inspired with our bonus tear-out mood-boosting prints. 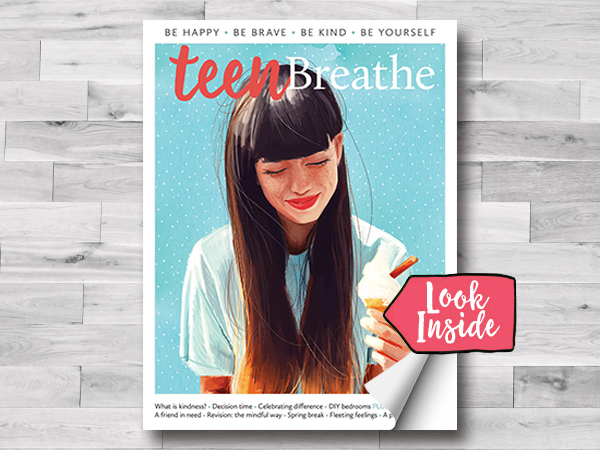 All this and much more in the latest issue of Teen Breathe, on sale now!